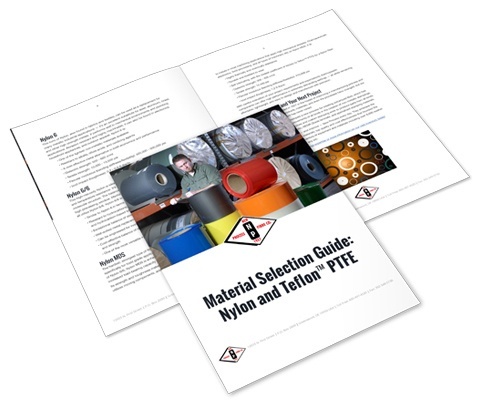 Plastic & Non-Metallic Material Selection Criteria | New Process Fibre Company, Inc.
Much more than simply picking texture or color, plastic material selection criteria can greatly affect performance, safety, and durability. 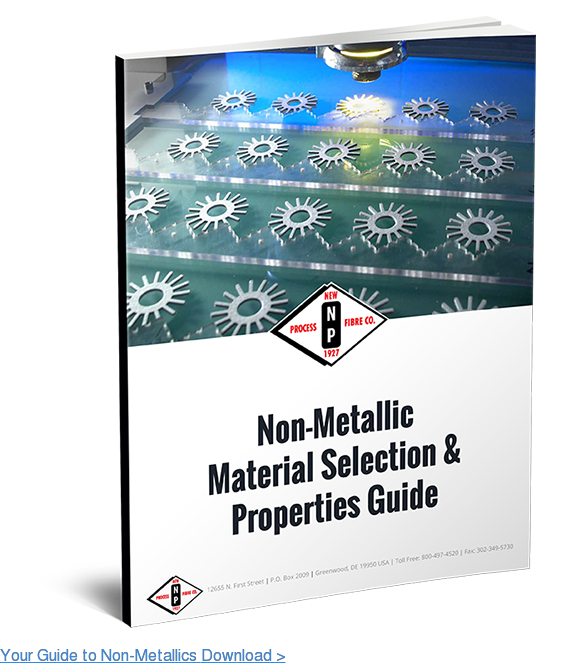 In order to make the right choice for your application, it’s important to know a material’s unique characteristics and how they will affect your specific project. To effectively answer these questions, you’ll need to be familiar with every detail of your application. Temperature — Will the parts in your application be exposed to frequent fluctuation or temperature extremes? Many materials have a maximum and minimum operating temperature, as they can become brittle in extreme cold or oxidize when exposed to intense heat. Mechanics — If your application requires high tensile strength or will be exposed to competing forces, you’ll need a material capable of withstanding these pressures and stresses without deforming or fatiguing. Flexibility — Closely tied to tensile strength, some components may need to be extremely stiff or flexible depending on their role in the application. Impact Resistance — Will the component require toughness in its planned environment? If so, you’ll need to select a material with strong resistance to impact and erosion effects over time. Dielectric Strength — If your application involves the transfer of electricity, the part may need to be able conduct an electric current or, conversely, be insulated and protected from it. Chemical Resistance — What chemicals or other harmful substances will the components be exposed to? Industries processing volatile chemicals or producing high levels of toxic waste will require more resistant materials than those in less severe environments. Industry Demands — Your material may need to meet specific requirements depending on the specifications of the individual application, as well as any specific standards or legal regulations — such as ASME or ISO — that may exist within a particular industry. 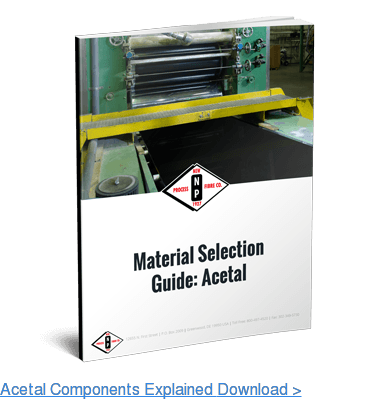 Cost — While it can be challenging to strike a balance between cost and quality, you should always try to select the material that will offer the best performance for your budget. Highly compatible plastics are used to fabricate laboratory tools such as bottles, plans, funnels, and graduated cylinders. Mildly compatible plastics vary wildly in terms of properties. Some may be sterilized using an autoclave, while others may melt under the high-temperature steam in the autoclave process. Some will keep their elastic properties in extreme low temperatures up to -250° C, while others may become brittle below freezing. As these materials often feature a clarity similar to glass, they can still be ideal for the fabrication of laboratory containers such as media bottles, cryoboxes, and filterware. Will the parts in your application be exposed to frequent fluctuation or temperature extremes? Many materials have a maximum and minimum operating temperature, as they can become brittle in extreme cold or oxidize when exposed to intense heat. If your application requires high tensile strength or will be exposed to competing forces, you’ll need a material capable of withstanding these pressures and stresses without deforming or fatiguing. Closely tied to tensile strength, some components may need to be extremely stiff or flexible depending on their role in the application. Will the component require toughness in its planned environment? If so, you’ll need to select a material with strong resistance to impact and erosion effects over time. If your application involves the transfer of electricity, the part may need to be able conduct an electric current or, conversely, be insulated and protected from it. What chemicals or other harmful substances will the components be exposed to? Industries processing volatile chemicals or producing high levels of toxic waste will require more resistant materials than those in less severe environments. Your material may need to meet specific requirements depending on the specifications of the individual application, as well as any specific standards or legal regulations — such as ASME or ISO — that may exist within a particular industry. While it can be challenging to strike a balance between cost and quality, you should always try to select the material that will offer the best performance for your budget. The environments, requirements, and workloads associated with the oil and gas industry are exceptionally demanding. Materials that are EN ISO 23936-1:2009 and NORSOK M-710, Edition 3 compliant are required in these applications. Materials used in the manufacturing and construction of medical technology must come with approvals for direct bodily contact. Resistance to common sterilization methods is also required because the vast majority of medical products must be thoroughly sterilized before and/or after use. Medical devices and surgical tools must be also be visible under fluoroscopy and x-ray radiation, which may require the use of specialized materials. In food technology, materials must comply with explicit regulations, including the U.S. Food and Drug Administration (FDA) and European standards such as 10/2011/EC and 1935/2004 EC). The food and beverage industry has seen increased demand for detectable materials that help prevent unwanted particulate matter from working its way into the food processing chain. Broken plastics fragments may be easily traced via standardized process control systems thanks to special additives used in intentionally modified materials. The aerospace and semiconductor industries feature some of the most stringent quality requirements in any industry. They require materials with high ionic purity levels due to their reliance on vacuum setups, and flame retardant materials also see heavy used in these industries due to several applications that center around fire protection. With almost a century of experience, New Process Fibre Co. has been relentless in our mission to improve our clients’ manufacturing processes. Specializing in custom non-metallic stamping and fabrication services, and offering a broad selection of components and materials, our team has the industry expertise to guide you through the many challenges of material selection.